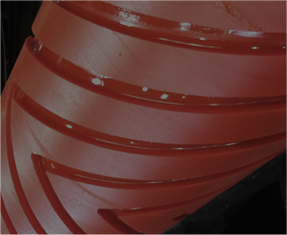 Our attention and quality to our manufacturing process results in superior products for you! PRC buys several different pieces of machinery including: mills, calenders, lathes, presses and vulcanizers. 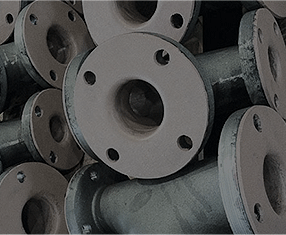 This equipment was used to diversify the product portfolio from just frictions tapes to rubber covered roller and press type flanges. Passaic Rubber Company and Jon A. Roebling & Sons form a partnership to fabricate bridge tapes for the San Francisco and George Washington Suspension Bridges. With WWII looming, Passaic Rubber began assisting the US Navy in the development of mine sweeping cable tapes. At this time, the country experienced a massive shift from Natural Rubber to synthetic elastomers. Passaic expands product lines to incorporate truly endless belting. One of the main products that came from this was capping belts. 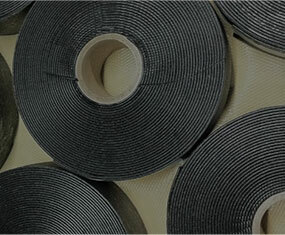 Capping belts are still used in the industry today to twist glass jars and metal tops together. Passaic Rubber Company made history by recording the most revenue to date! Today, PRC continues to thrive under the direction and co-ownership of John Mathey, President, and Jeffrey Leach, CEO. 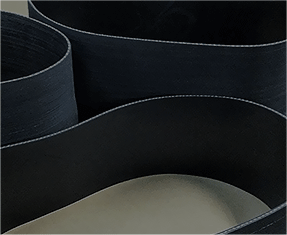 The business is separated into three categories, all niche markets, including: rubber covered rollers, truly endless belting, and calendered rubber products.